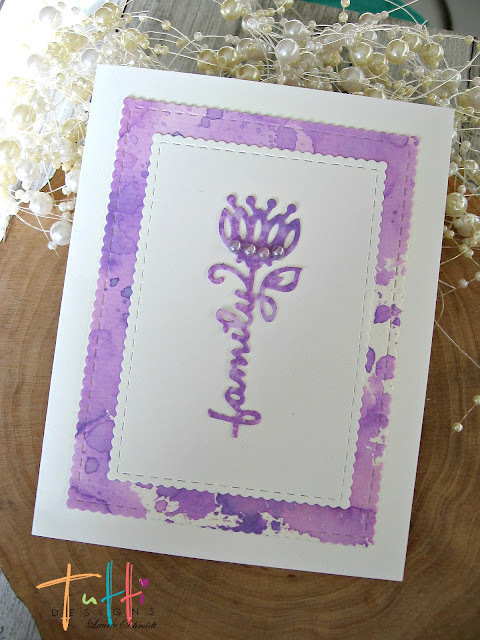 Laurie here from Stamping Up North sharing a card I made featuring the Flower Family die. 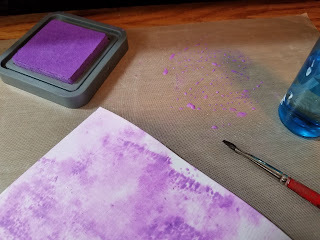 I started out with some watercolor paper and distress ink. I swiped some ink onto my mat, and added a spray of water. Then I sprayed my paper with water, and added color with my brush. I flicked some water on with my brush to add more interest. After it dried, I cut out a scalloped stitched nesting rectangle. Then I cut out the flower from the center of that. 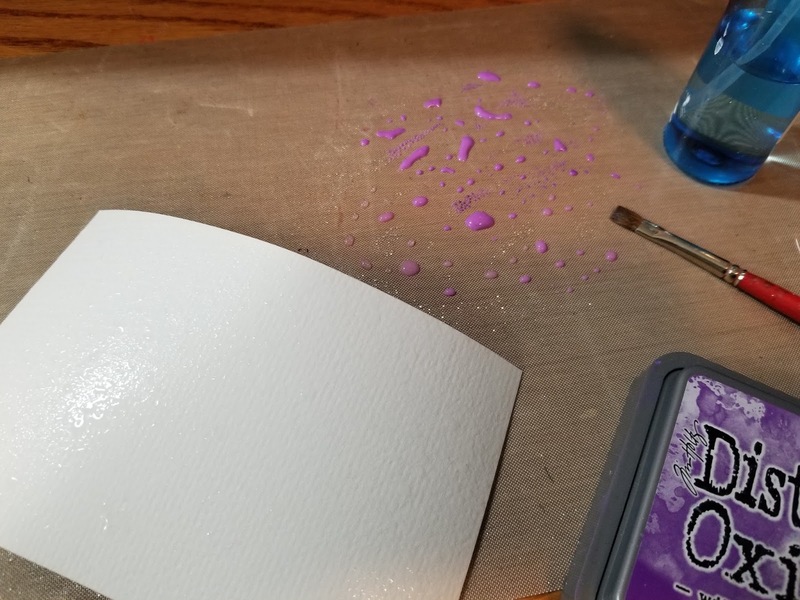 I also cut out a smaller rectangle in white and adhered the flower onto that, and added a few pearls in a matching color. I adhered the layers altogether, and it was done! Simply beautiful! 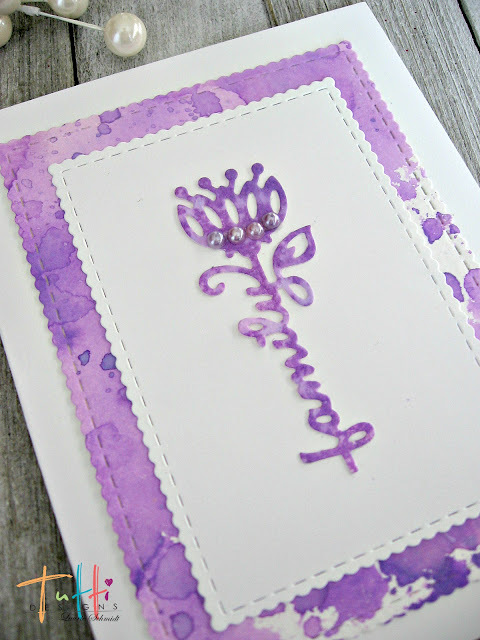 Love that background and how you adorned the die! Well done! Oooh, love how you did the background on this! This is so pretty especially in that soft watercolour. Such a pretty color, and the flower die works wonderful. Great job! Wow, Laurie! 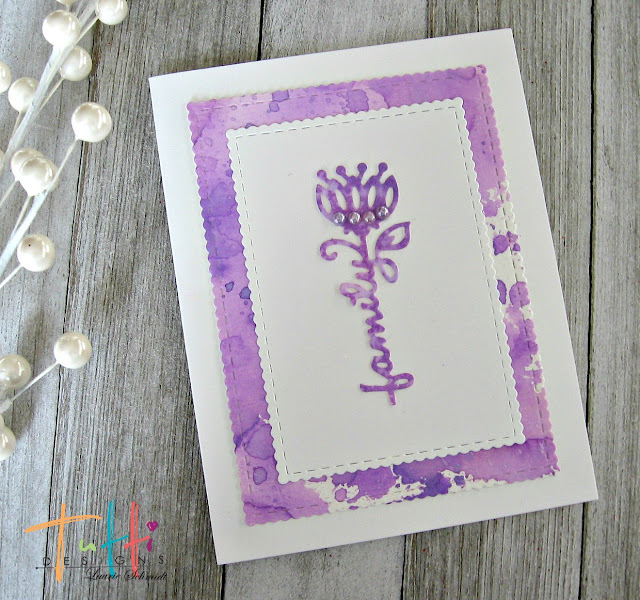 This is spectacular...beautiful simplicity and the color is fab!